Canadian Pacific Railway (CP) has helped raise $2 million for brand-new facilities in the pediatric cardiology unit at the Jim Pattison Children's Hospital in Saskatoon, Saskatchewan. (See photo above.) The company raised the money at the Canadian Pacific Women's Open golf tournament in August and by matching all donations made through the hospital's website during tournament week. Online heavy-duty truck and trailer part supplier FinditParts has pledged to support the Prostate Cancer Foundation's community fundraising initiative, Many vs. Cancer, by matching 100 percent of donations made through its website beginning in September—Prostate Cancer Awareness Month—and continuing through the rest of 2018. The company also added a donation option to its e-commerce checkout process. Lincolnshire, Ill.-based global supply chain solutions provider Ice Mobility will support the Leukemia and Lymphoma Society by donating the net proceeds of its 3rd Annual Charity Golf Outing. In 2017, the company's customers, vendors, and employees donated more than $30,000 to support the society, in honor of an Ice employee diagnosed with lymphoma. 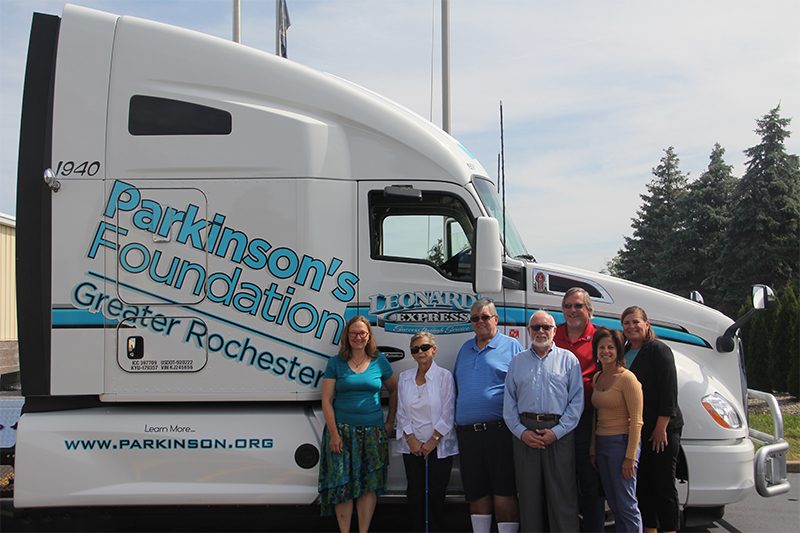 Farmington, N.Y.-based transportation service provider Leonard's Express will raise awareness of Parkinson's disease by displaying a decal on a company truck and donating a penny for every mile the truck travels. 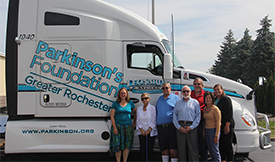 The effort is expected to raise $1,250 for the Greater Rochester Parkinson's Foundation, representing the approximately 125,000 miles the truck is projected to cover in a year. Atlanta-based logistics and supply chain management services provider Veritiv Corp. has donated 31,000 rolls of toilet paper to Love Rolls Inc., a charity that provides toilet paper to the homeless community. The donation coincided with the Aug. 26 commemoration of National Toilet Paper Day and will help provide adequate sanitation for the toilets, showers, and hand-washing facilities used by homeless people.